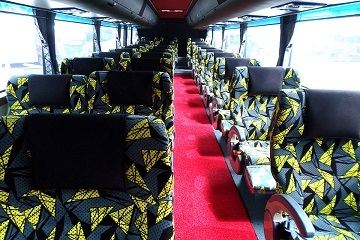 KKKL Express is an emerging express bus company that offers express bus services within Malaysia and Singapore. 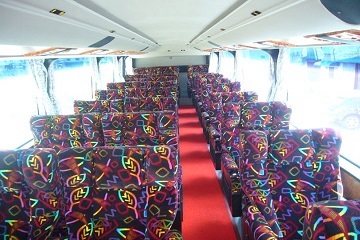 KKKL Express owns more then 100 express coaches such as SVIP and double-decker coaches. 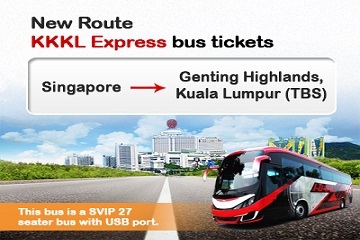 KKKL Express will be offering express bus services from Singapore to Genting Highlands, Melaka and KL. 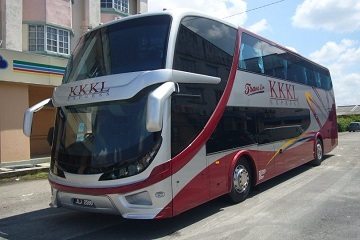 Being a partner of Easybook.com, passengers now can book KKKL express bus tickets online via this largest online booking platform. #01-09, 200 Jalan Sultan, Textile Centre, Singapore. 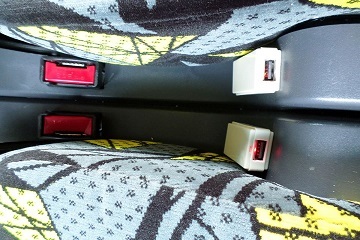 Counter 4, Terminal Bas & Teksi, Melaka Sentral, Peringgit, 75400 Melaka. TBS, Counter 49, 50, Terminal Bersepadu Selatan, Kuala Lumpur. The 5 Elements Hotel, No. 243, Jalan Sultan (Chinatown), 50000 Kuala Lumpur, Wilayah Persekutuan Kuala Lumpur, Malaysia. 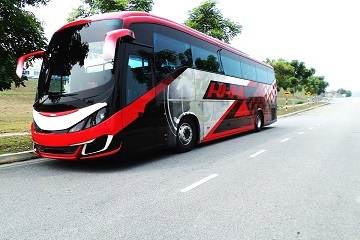 Counter 1, Terminal Awam Larkin, Jalan Garuda, 80350 Larkin, Johor Bahru.